Ayman al-Zawahiri co-founded al-Qaeda with Osama bin Laden in 1988. He has led the group since bin Laden’s death in 2011, and expanded the number of al-Qaeda affiliates around the world. The FBI’s Rewards for Justice program offers a reward of $25 million for information leading to Zawahiri’s capture.“Most Wanted Terrorists: Ayman Al-Zawahiri,” FBI, accessed August 7, 2017, https://www.fbi.gov/wanted/wanted_terrorists/ayman-al-zawahiri. Zawahiri has maintained that al-Qaeda’s primary target is the United States and “its ally Israel, and secondly its local allies that rule our countries.”Ayman al-Zawahiri, “General Guidelines for Jihad,” As-Sahab Media, September 2013, https://azelin.files.wordpress.com/2013/09/dr-ayman-al-e1ba93awc481hirc4ab-22general-guidelines-for-the-work-of-a-jihc481dc4ab22-en.pdf. 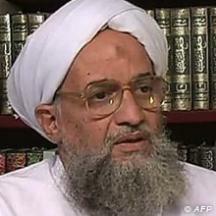 Zawahiri’s path to extremism began in Egypt. He first joined the Muslim Brotherhood as a teenager and was arrested at age 15 for membership in the group.“Profile: Ayman al-Zawahiri,” BBC News, August 13, 2015, http://www.bbc.com/news/world-middle-east-13789286. In 1973, Zawahiri joined the Egyptian Islamic Jihad (EIJ). He would go on to earn a medical degree and become a surgeon. Following the 1981 assassination of Egyptian President Anwar Sadat, Egypt jointly tried Zawahiri and hundreds of other EIJ members for conspiracy in assassination. Zawahiri was known during the trial as Defendant 113.“Authorities target bin Laden's second-in-command,” CNN, September 28, 2001, http://www.cnn.com/2001/US/09/28/inv.second.command/; Leila Fadel, “In Egypt, A New Courtroom Drama Every Day,” NPR, March 14, 2014, http://www.npr.org/sections/parallels/2014/03/14/289815812/in-egypt-a-new-courtroom-drama-every-day. The court sentenced Zawahiri to three years in prison for the illegal possession of weapons.“Profile: Ayman al-Zawahiri,” BBC News, August 13, 2015, http://www.bbc.com/news/world-middle-east-13789286.Following his release in 1985, Zawahiri traveled to Saudi Arabia.“Timeline of Al-Zawahiri,” CNN, June 16, 2011, http://security.blogs.cnn.com/2011/06/16/timeline-of-al-zawahiri/; “Profile: Ayman al-Zawahiri,” BBC News, August 13, 2015, http://www.bbc.com/news/world-middle-east-13789286. In 1987, Zawahiri met bin Laden in Pakistan, where Zawahiri was treating wounded Islamist fighters from the Afghan-Soviet war.“Timeline of Al-Zawahiri,” CNN, June 16, 2011, http://security.blogs.cnn.com/2011/06/16/timeline-of-al-zawahiri/; “Authorities target bin Laden's second-in-command,” CNN, September 28, 2001, http://www.cnn.com/2001/US/09/28/inv.second.command/. The following year, he helped bin Laden establish al-Qaeda in Peshawar, Pakistan.Declan Walsh, “Ayman al-Zawahiri: from doctor to Osama bin Laden's successor,” Guardian (London), June 16, 2001, https://www.theguardian.com/world/2011/jun/16/ayman-al-zawahiri-osama-bin-laden. Zawahiri returned to Egypt and became the leader of the EIJ in 1993.“Profile: Ayman al-Zawahiri,” BBC News, August 13, 2015, http://www.bbc.com/news/world-middle-east-13789286. Under his leadership, the EIJ carried out a 1995 bombing of Egypt’s embassy in Pakistan, as well as a failed assassination attempt on Egyptian President Hosni Mubarak.Phil Hirschkorn, “Al-Zawahiri faces single set of U.S. charges,” CNN, March 19, 2004, http://www.cnn.com/2004/LAW/03/18/alzawahiri.charges/. In February 1998, the Zawahiri-led EIJ joined with al-Qaeda, the Egyptian Islamic Group, the Jamiat-ul-Ulema-e-Pakistan, and the Jihad Movement in Bangladesh to form the World Islamic Front for Jihad against the Jews and Christians. The groups released a joint fatwa calling on Muslims to “kill the Americans and their allies -- civilians and military….”“Profile: Ayman al-Zawahiri,” BBC News, August 13, 2015, http://www.bbc.com/news/world-middle-east-13789286; “Timeline of Al-Zawahiri,” CNN, June 16, 2011, http://security.blogs.cnn.com/2011/06/16/timeline-of-al-zawahiri/; “Jihad Against Jews and Christians,” Federation of American Scientists, February 23, 1998, https://fas.org/irp/world/para/docs/980223-fatwa.htm. On August 6, the EIJ sent a fax to an Egyptian newspaper, stating that the terrorist group would seek revenge against the United States for arresting several of the group’s members. The following day, al-Qaeda bombed the U.S. embassies in Kenya and Tanzania, killing 224 people.“Authorities target bin Laden's second-in-command,” CNN, September 28, 2001, http://www.cnn.com/2001/US/09/28/inv.second.command/. The U.S. government indicted Zawahiri for his role in the attacks.Phil Hirschkorn, “Al-Zawahiri faces single set of U.S. charges,” CNN, March 19, 2004, http://www.cnn.com/2004/LAW/03/18/alzawahiri.charges/. In 1999, an Egyptian court sentenced Zawahiri in absentia to death for his role in an alleged terrorist plot against U.S. interests in Albania.“Ayman al-Zawahiri Fast Facts,” CNN, June 10, 2017, http://www.cnn.com/2012/12/14/world/ayman-al-zawahiri---fast-facts/index.html. Zawahiri merged the EIJ into al-Qaeda in June 2001.“Country Reports on Terrorism 2008,” U.S. Department of State, April 2009, 305, https://www.state.gov/documents/organization/122599.pdf. Following the September 11, 2001, attacks, Interpol issued an international arrest warrant for Zawahiri.“Authorities target bin Laden's second-in-command,” CNN, September 28, 2001, http://www.cnn.com/2001/US/09/28/inv.second.command/. The following month, bin Laden’s biographer, Hamid Mir, told the Christian Science Monitor that bin Laden was the public face of al-Qaeda but Zawahiri held more sway over the group’s direction. Zawahiri “is not interested in fighting in the mountains. He is thinking more internationally,” according to Mir.Scott Baldauf, “The ‘cave man’ and Al Qaeda,” Christian Science Monitor, October 31, 2001, https://www.csmonitor.com/2001/1031/p6s1-wosc.html. Zawahiri’s wife and three children died in a U.S. strike against the family’s home in Afghanistan in December 2001.Chelsea J. Carter, “Al Qaeda leader calls for kidnapping of Westerners,” CNN, October 28, 2012, http://www.cnn.com/2012/10/27/world/asia/al-qaeda-kidnap-threat/. By 2009, the U.S. State Department believed that bin Laden served only as a figurehead in al-Qaeda, while Zawahiri had emerged as the group’s “strategic and operational planner.”“U.S. Country Reports on Terrorism 2008,” U.S. Department of State, April 2009, 318, https://www.state.gov/documents/organization/122599.pdf. Zawahiri became al-Qaeda’s new leader after bin Laden’s May 2011 death.“Ayman al-Zawahiri appointed as al-Qaeda leader,” BBC News, June 16, 2011, http://www.bbc.com/news/world-middle-east-13788594. That August, al-Qaeda claimed responsibility for the kidnapping of U.S. citizen Warren Weinstein in Pakistan. Two months later, Zawahiri released a video statement calling for Muslims to kidnap more U.S. citizens to win the freedom of captured fighters.Chelsea J. Carter, “Al Qaeda leader calls for kidnapping of Westerners,” CNN, October 28, 2012, http://www.cnn.com/2012/10/27/world/asia/al-qaeda-kidnap-threat/. Under Zawahiri’s stewardship, al-Qaeda has become increasingly decentralized, with authority resting primarily in the hands of al-Qaeda’s affiliate leaders. Zawahiri has brokered mergers with a number of Islamist groups including al-Qaeda in the Islamic Maghreb (previously the Salafist Group for Preaching and Combat or GSPC) and al-Shabab.Jean-Pierre Filiu, “Al-Qaeda in the Islamic Maghreb: Algerian Challenge or Global Threat?” Carnegie Papers Number 104 (2009): 3; Jonathan Masters, “Al-Shabab,” Council on Foreign Relations, http://www.cfr.org/somalia/al-shabab/p18650. Zawahiri has also sanctioned the creation of a number of al-Qaeda affiliates, including al-Qaeda in the Arabian Peninsula (AQAP) and the Nusra Front. In September 2014, Zawahiri announced the creation of al-Qaeda in the Indian Subcontinent (AQIS).Bill Roggio, “Al Qaeda Opens Branch in the ‘Indian Subcontinent,’” Long War Journal, September 3, 2014, http://www.longwarjournal.org/archives/2014/09/al_qaeda_opens_branc.php. Analysts generally believe that Zawahiri created AQIS in order to promote al-Qaeda’s brand as ISIS was gaining influence.Jordan Olmstead, “The Real Reason al-Qaeda Is Establishing an India Branch,” Diplomat, September 23, 2014, http://thediplomat.com/2014/09/the-real-reason-al-qaeda-is-establishing-an-india-branch/. Zawahiri severed al-Qaeda’s ties with ISIS in February 2014 due to the group’s repeated attempts to subsume al-Qaeda’s Syrian affiliate, the Nusra Front, under its command.Thomas Joscelyn, “Al Qaeda’s General Command Disowns the Islamic State of Iraq and the Sham,” Long War Journal, February 3, 2014, http://www.longwarjournal.org/archives/2014/02/al_qaedas_general_co.php. Zawahiri has publicly criticized ISIS and its declared caliph, Abu Bakr al-Baghdadi. In a series of audio messages released in September 2015, Zawahiri accused Baghdadi of dividing the Muslim community. He called ISIS’s declared caliphate in Iraq and Syria to be illegitimate because it “is an emirate of taking over without consultation, and Muslims are not obligated to pledge allegiance to it.”Tim Lister, “Al Qaeda leader to ISIS: You’re wrong, but we can work together,” CNN, September 15, 2015, http://www.cnn.com/2015/09/14/middleeast/al-zawahiri-al-qaeda-isis-olive-branch/. In another audio message that month, Zawahiri called for Islamist fighters in Syria and Iraq to unite against “the crusaders, the Safavids, and the secularists….”Tim Lister, “Al Qaeda leader to ISIS: You’re wrong, but we can work together,” CNN, September 15, 2015, http://www.cnn.com/2015/09/14/middleeast/al-zawahiri-al-qaeda-isis-olive-branch/. Despite his criticism of ISIS, Zawahiri has not ruled out the possibility of cooperating with ISIS, or absorbing its fighters if ISIS is eventually defeated.Carla E. Humud, “Al Qaeda and U.S. Policy: Middle East and Africa,” Congressional Research Service, August 11, 2016, https://fas.org/sgp/crs/mideast/R43756.pdf. Zawahiri has been in hiding since the U.S.-led coalition overthrew the Taliban government in December 2001. Security analysts believe that Zawahiri most likely resides in the Afghan-Pakistan border region, although he has repeatedly managed to evade capture and his precise whereabouts are unknown.“Al-Qaeda's remaining leaders,” BBC, December 6, 2014, http://www.bbc.com/news/world-south-asia-11489337. The Obama administration reportedly targeted Zawahiri in a January 2016 drone strike in Pakistan’s Federally Administered Tribal Area. Newsweek reported that the strike killed five of Zawahiri’s bodyguards and wounded the al-Qaeda leader, but he ultimately escaped. Reports emerged in early 2017 that Zawahiri was in Karachi, Pakistan, allegedly under the protection of Pakistan’s Inter-Services Intelligence agency.Jeff Stein, “Ayman Al-Zawahiri: How a CIA Drone Strike Nearly Killed the Head of Al-Qaeda,” Newsweek, April 21, 2017, http://www.newsweek.com/ayman-al-zawahiri-cia-donald-trump-drone-strike-osama-bin-laden-pakistan-587732. Nur Al Deen Abu Mohammed “The List Established and Maintained by the Al-Qaida Sanctions Committee with Respect to Individuals, Groups, Undertakings and Other Entities Associated with Al-Qaida,” United Nations Security Council, http://www.un.org/sc/committees/1267/pdf/AQList.pdf; “Recent OFAC Actions,” U.S. Department of the Treasury, September 24, 2001, http://www.treasury.gov/resource-center/sanctions/OFAC-Enforcement/Pages/20010924.aspx. The United Nations listed “Aiman Muhammed Rabi al-Zawahiri” (Ayman al-Zawahiri) as an individual associated with Al-Qaida on January 25, 2001. “Security Council Al-Qaida Sanctions Committee Amends One Entry on Its Sanctions List,” U.N. Security Council, May 22, 2015, http://www.un.org/press/en/2015/sc11902.doc.htm. President George W. Bush issues Executive Order 13224 on September 23, 2001, listing “Ayman al-Zawahiri” as a Specially Designated National.“Recent OFAC Actions,” U.S. Department of the Treasury, September 24, 2001, http://www.treasury.gov/resource-center/sanctions/OFAC-Enforcement/Pages/20010924.aspx. Ayman al-Zawahiri co-founded al-Qaeda with Osama bin Laden in 1988. “We are Muslims who believe in our religion. We are trying to establish an Islamic state and Islamic society.”“Profile: Ayman al-Zawahiri,” BBC News, August 13, 2015, http://www.bbc.com/news/world-middle-east-13789286. “Why don’t you rise while you are the sons of the proud and strong tribes that look down upon death in order to lift the humiliation and the oppression? “It has been nearly a year now since the Arab peoples rose against their rulers. They rose in the west and north, and you don't move,” the Egyptian-born Zawahiri said in the video. "My noble brothers, why are you patient with the rule of the family of Saud, while it is one of the worse regimes in terms of corruption?”“Al-Qaeda leader Ayman al-Zawahiri calls on Saudi Arabia to rise up,” Telegraph (London), May 18, 2012, http://www.telegraph.co.uk/news/worldnews/al-qaeda/9273816/Al-Qaeda-leader-Ayman-al-Zawahiri-calls-on-Saudi-Arabia-to-rise-up.html. “We must continue on [Bin Laden's] path of jihad to expel the invaders from the land of Muslims and to purify it from injustice. “The man who terrified America in his life will continue to terrify it after his death. You will continue to be troubled by his famous vow: You shall not dream of security until we enjoy it and until you depart the Muslims' lands. “America is not facing an individual or a group, but a rebelling nation, which has awoken from its sleep in a jihadist renaissance.”“Ayman al-Zawahiri in his own words,” BBC News, June 16, 2011, http://www.bbc.co.uk/news/mobile/world-middle-east-13792238. “The latest raid on the Crusaders’ homes was the blessed raid on London [the London bombings], which was a slap in the face to British Crusader arrogance, after the mujaheed lion of Islam, Sheikh Osama bin Laden, may Allah protect him, had offered the peoples of the West a truce, if they leave the countries of Islam, but their arrogance drove them to crime, and their conceited foreign secretary, Jack Straw, said that these proposals should be treated with contempt. So let them pay the price of their government’s filth and arrogance.”David Aaron, In Their Own Words: Voices of Jihad (Santa Monica: RAND Corporation, 2008), 196-197. “Attack Israel and additional Western targets…strike the interests of Jews, the Americans, and all those who participated in the attack on Muslims.”“Ayman al-Zawahiri: In His Own Words,” Anti-Defamation League, July 16, 2009, http://archive.adl.org/main_terrorism/ayman+al-zawahiri250d-2.html#.U469h5RdXMc. “[W]e must acknowledge that the west, led by the United States, which is under the influence of the Jews, does not know the language of ethics, morality, and legitimate rights.” David Aaron, In Their Own Words: Voices of Jihad (Santa Monica: RAND Corporation, 2008), 196-197. “The masters in Washington and Tel Aviv are using the regimes to protect their interests and to fight the battle against the Muslims on their behalf.” David Aaron, In Their Own Words: Voices of Jihad (Santa Monica: RAND Corporation, 2008), 196-197. “…[H]istory would make a new turn, God willing, in the opposite direction against the empire of the United States and the world’s Jewish government.”David Aaron, In Their Own Words: Voices of Jihad (Santa Monica: RAND Corporation, 2008), 196-197. “A new awareness is increasingly developing among the sons of Islam, who are eager to uphold it; namely, that there is no solution without jihad.”David Aaron, In Their Own Words: Voices of Jihad (Santa Monica: RAND Corporation, 2008), 196-197. “All these sins and crimes committed by the Americans are a clear declaration of war on God, his messenger and Muslims. “We, with God's help, call on every Muslim who believes in God and wishes to be rewarded to comply with God's order to kill the Americans and plunder their money wherever and whenever they find it.”“Ayman al-Zawahiri in his own words,” BBC News, June 16, 2011, http://www.bbc.co.uk/news/mobile/world-middle-east-13792238. “Tell America that its bombings, its threats and its acts of aggression do not frighten us. The war has only just begun.”“Ayman al-Zawahiri in his own words,” BBC News, June 16, 2011, http://www.bbc.co.uk/news/mobile/world-middle-east-13792238. “The current rulers of Muslim countries who govern without the sharia of Allah are apostate infidels. It is obligatory to overthrow them, to wage jihad against them, and to depose them, installing a Muslim ruler in their stead.”Raymond Ibrahim, trans., The Al-Qaeda Reader (New York: Doubleday, 2007), 122. “[D]emocracy is a man-made infidel religion, devised to give the right to legislate to the masses—as opposed to Islam, where all legislative rights belong to Allah Most High: He has no partners. In democracies, however, those legislators [elected] from the masses become partners worshipped in place of Allah. Whoever obeys their laws [ultimately] worships them.”Raymond Ibrahim, trans., The Al-Qaeda Reader (New York: Doubleday, 2007), 130. “[W]hoever claims to be a ‘democratic-Muslim’ or a Muslim who calls for democracy, is like one who says about himself ‘I am a Jewish Muslim’ or ‘I am a Christian Muslim’—the one worse than the other. He is an apostate infidel.” Raymond Ibrahim, trans., The Al-Qaeda Reader (New York: Doubleday, 2007), 136.